So, it’s been a bit of a while. What can I say? Getting engaged is a bit hectic. We’ve been thrilled at everyone’s enthusiasm for our news and now I’m getting a bit daunted at all we’ve got to organise but we have got a date and a venue, which is most exciting but I’ll leave that for another post. A couple of days after we collected the ring, we went off on holiday with some of our closest friends and celebrated our engagement in Center Parcs in the Lake District. Now, in all honesty I always say that Center Parcs is the countryside for people who don’t like the country and I do class myself as one of those. I like my home comforts ( remind me why I’m going to Glastonbury again?) and there’s no shortage of those in Center Parcs. And there’s also no shortage of kids, I think we were one of the few groups without any; so be warned. But that said, friends who have kids love Center Parcs as it’s definitely geared towards them, lots of activities, lots of kid friendly restaurants and cafes. Really it’s great for everyone. I went to Whinfell for the first time last year and enjoyed it so we booked straight away to get the benefit of the come back soon offer. This time, we stayed in a Woodland Lodge which is decorated really modernly, feature walls and blackboards, open fires and flat screen tvs. 6 of us stayed in an 8 bed lodge and I think it cost us about £50 each. Being child-free at Center Parcs does have it’s perks. 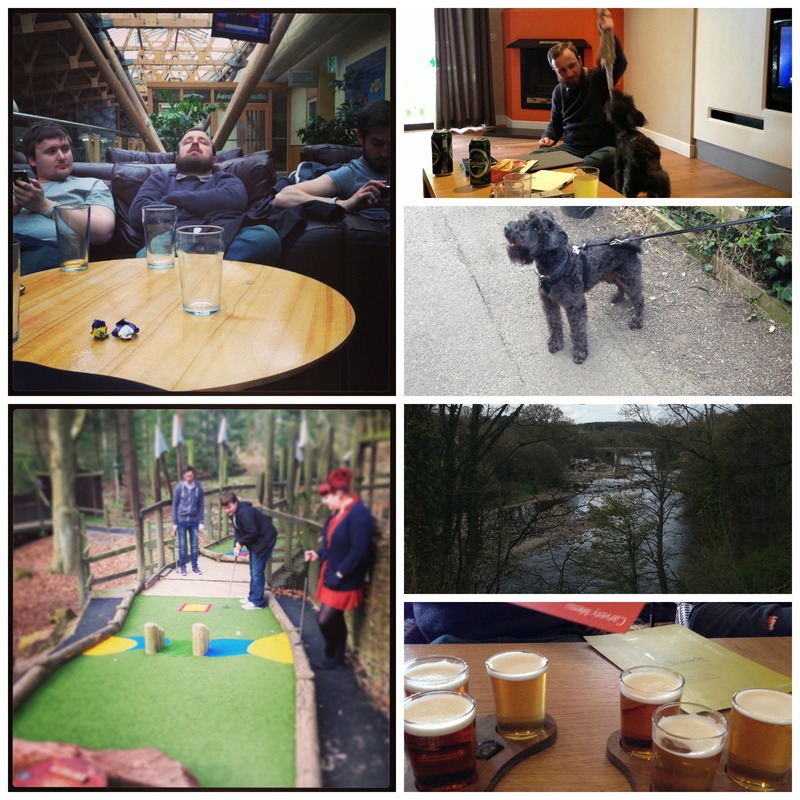 This entry was posted in friends, holiday, holidays, me and tagged friends, holidays, Instagram, lake district, rubbish at all games on May 12, 2013 by louiselough.